Food processing businesses are working to end hunger by increasing their capacity to provide quality, nutritious fortified foods for local communities. In Eastern and Southern Africa, 25 million – or 40 percent – of children under the age of five suffer from chronic malnutrition. Adequate nutrition is vital to children’s health and cognitive and physical development, and food fortification is a scalable, cost-effective method to increase communities’ access to nutrients. Yet many small and growing local processors have difficulties producing high-quality, affordable and nutritious products due to a lack of technical and business knowledge and investment. Solutions for African Food Enterprises (SAFE) is a partnership between TechnoServe, Partners in Food Solutions and the U.S. Agency for International Development (USAID), which aims to expand the availability of affordable and nutritious foods by increasing the competitiveness of the food processing sectors in Ethiopia, Kenya, Zambia, Malawi and Tanzania. Between launch in 2012 and completion in 2017, SAFE benefited more than 1,000 food processors, who source from more than 973,000 smallholder farmers. After working with the SAFE program, Hirut Yohannes Darare expanded her dairy processing business and now sources from 450 local farmers – 95 percent women – and produces more than 20 protein-rich dairy products. 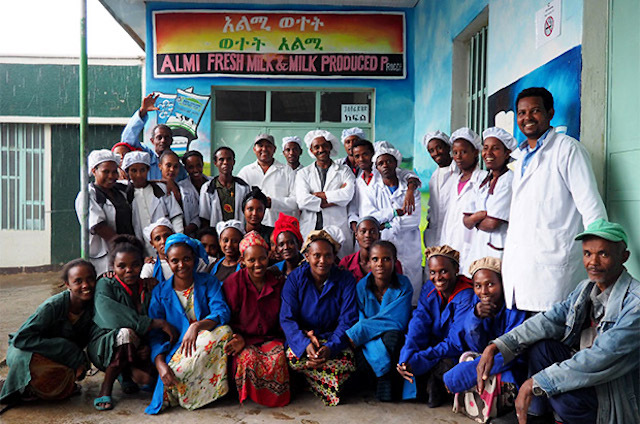 When Ethiopia experienced a milk shortage, Hirut Yohannes Darare turned a challenge into an opportunity, opening Rut & Hirut Milk Cows Breeding & Dairy Production & Processing PLC in Chacha, Ethiopia. 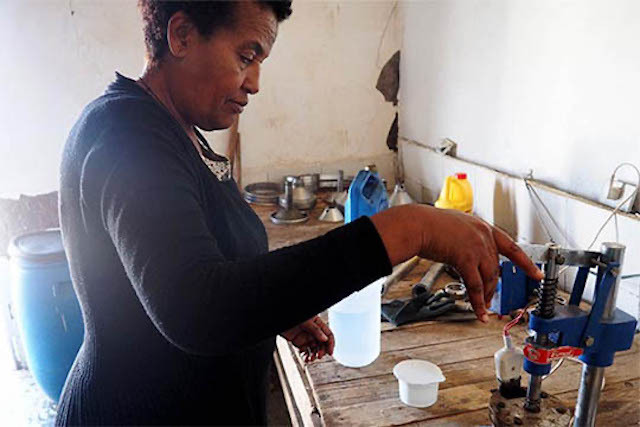 In addition to constructing her own livelihood, Hirut was driven to build a stronger Ethiopia, both by providing income for struggling local dairy farmers and by producing protein-rich dairy products for her community. “When I was growing up, every day my father brought me milk to drink. Because of this I can work as I like. I can run. I am healthy,” she remembers. Hirut launched her efforts in 2008 and her business grew quickly. However, mechanical issues and lack of knowledge of best practices ate away at profits. Improper handling and storage of cheese after production resulted in a 10 percent loss daily. In 2015, Rut & Hirut joined the SAFE program, which helped develop good manufacturing practices (GMP) manuals and provided training to the company’s staff to increase production, quality, and compliance with safety and environmental norms. Since participating in the SAFE program, Rut & Hirut has experienced a 199 percent increase in revenue. As the health of Hirut’s business improves, so does that of her community. The plant produces pasteurized milk, 16 types of cheeses, three flavors of yogurt, and three types of butter and cream, providing jobs and nutritious proteins for the local community. Hirut’s company now sources from over 450 local dairy farmers. Read more about Hirut’s efforts to improve her community and incomes with the SAFE program. The SAFE team created e-books on agribusiness management and food fortification in order to encourage wide distribution and greater access to materials on best practices. 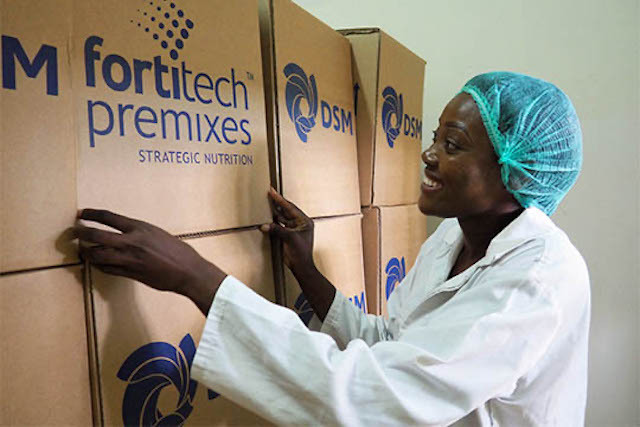 In order to increase and maintain access to nutritious fortified foods, processors must not only improve and maximize production, but also optimize their business practices. Healthy businesses will provide consistent, long term services to their consumers, and in food fortification, that means healthier communities as well. In Kenya, the SAFE team helped Buffalo Millers to improve their business health by reviewing their strategic plan. At the operations level, SAFE supported the company in implementing changes to their inventory management (such as stack management, pilferage reduction and debt collection), revising their new store design and implementing a plant energy audit. With sustainable business practices in place, they were able to enact best practices to improve production as well. Overall, SAFE’s training on these business and manafacturing topics helped Buffalo Millers to increase their production of fortified maize flour to an average of 2,800 metric tonnes per year. 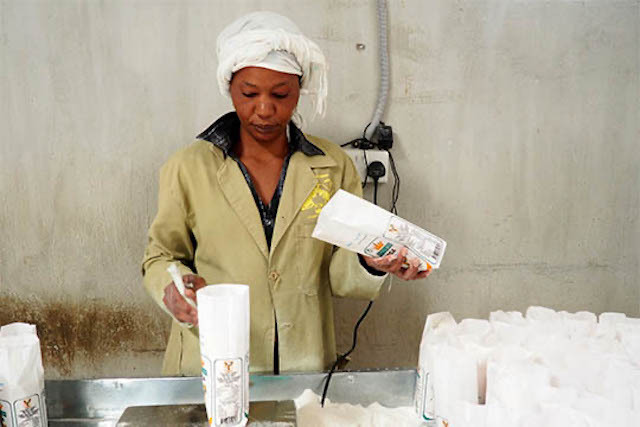 In order to reach more industry players, increase accessibility to SAFE’s training materials and ensure maximum impact through improved food processing, the SAFE team converted their technical assistance training materials into online resources for wider distribution. The first resource is an e-book covering business topics crucial to the success and sustainability of agribusinesses, including: entrepreneurship, development of business models, strategic management, marketing, accounting and finance. In Kenya, the team also released a comprehensive e-book on food fortification for maize flour, wheat flour and edible fats and oils. In the future, SAFE is aiming to transfer more than 20 field-tested, sector-wide training modules to e-learning platforms. After working with a volunteer engineer from General Mills, JAVA Foods added a new fortified cereal to their production. With over 19 years of experience working as an engineer for General Mills, Scott Myers was the perfect candidate to support Java Foods, a recently launched processor in Zambia. “This struck me as a neat opportunity to leverage my technical expertise while doing some greater good for the world,” he said. Scott dove right in, supporting factory layout design in order to increase efficiency and avoid any future issues during processing. 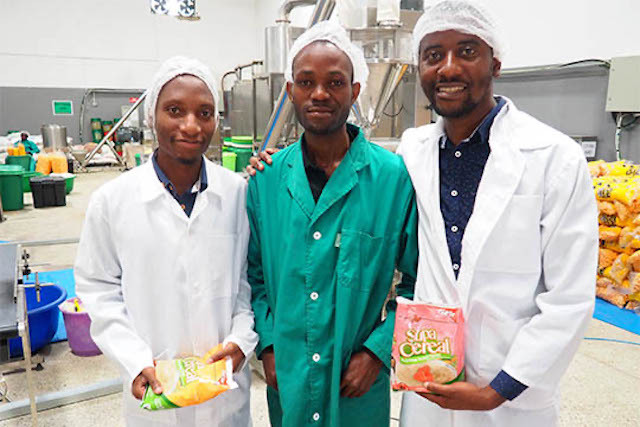 In an effort to diversify production of nutritious foods for Zambians, Scott worked with Java Foods to manufacture a Corn Soy Blend (CSB) product called eeZee Supa Cereal, which is fortified with essential vitamins and minerals, and is now being produced at over 300,000 metric tonnes per year. “For small companies like this, you really need some technical support, especially if you want to compete with big companies with big budgets. We can’t usually get such support or send for a shelf life analysis because it is too expensive. This partnership has helped bring experts to the field to help us understand the best way for us to operate,” said Farayi Muzofa, Production Manager at Java Foods. After working with SAFE, VALID nutrition is implementing a strategy to make its Ready-to-Use Complementary Foods available in retail markets for the first time. In 2016, SAFE began working with VALID Nutrition, a leader in the development of Ready-to-Use Therapeutic Foods (RUTF), highly fortified, protein-rich milk-peanut pastes designed to treat and prevent severe acute malnutrition. Looking to further drive the fight against malnutrition, VALID sought to introduce a new product, Ready-to-Use Complementary Food (RUCF) to the retail market. The SAFE team is working with VALID Nutrition to access new markets through technical assistance focused on improving food safety management and obtaining key certifications, and is also developing a marketing strategy that will provide insights into branding, packaging and increasing customer awareness. “The greatest value of SAFE has been the technical guidance. We are able to ask questions, and even if they don’t have the exact answer there is a pool of people where we can get the needed information,” said Andrew Chinguwo, General Manager. With the knowledge and skills gained through the SAFE program, VALID Nutrition aims to increase production and access retail outlets for the first time. In fact, they have already developed two products in preparation for retail marketing, hoping to provide more nutritious foods to families in need. TechnoServe advised Three Sisters on recordkeeping, business plan development and financial proposals to support loan applications. With the financing, they will be able to begin fortifying their product. Three Sisters Sunflower Oil Mills was founded by the three Majengo sisters – Amina, Mariam and Jamila – in 2008. “I saw an opportunity in Dodoma. Consumers needed sunflower oil, and sunflower seeds were available in our area,” said Amina. But the sisters had little knowledge on how to run an oil processing business. However, when Three Sisters was selected as one of 400 milling businesses to receive advisory services from TechnoServe and USAID’s Tuboreshe Chakula Project, TechnoServe advised the sisters on recordkeeping, business plan development and financial proposals to support loan applications. Now, the sisters can track the amount of raw materials they need, how much oil is produced and the profits from their sales. With the knowledge and financing to strengthen and grow their business, the mill is now ready to expand its production and impact for local consumers. Financing through the loans has allowed them to improve the plant’s production lines, increasing their incomes and the amount of product available to local markets. Three Sisters is also currently building a spacious new facility where they will install new oil refineries, which will allow them to increase their production and begin fortifying their product. As their venture thrives, their neighboring communities will gain increased access to quality products fortified with the nutrients that they need to succeed. 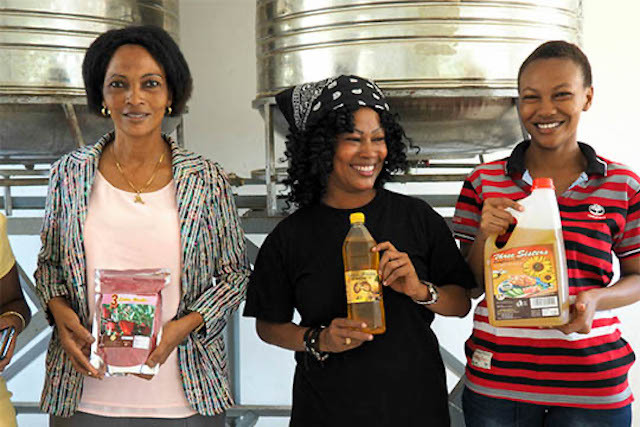 Read more about the Majengo sisters’ journey as women entrepreneurs in food processing.